Home For Patients Who gets pelvic girdle pain? Pelvic girdle pain (PGP) happens as a result of a combination of many factors. During pregnancy, hormonal and physical changes prepare the normally stiff pelvis for pregnancy and delivery. Hormonal changes cause normal relaxation of the pubic symphysis joint, the joints of the lower back and the sacroiliac (SI) joints. This increased mobility is usually managed well by women automatically with muscle support and good movement patterns. 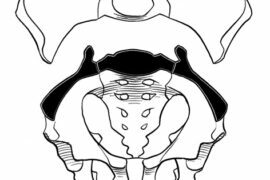 For approximately 40-50% of women, however, pelvic girdle pain develops, affecting function. It is important for women to not be afraid of this increased mobility of her pelvic joints. It is not the main reason why women have PGP, otherwise all pregnant women would experience it! 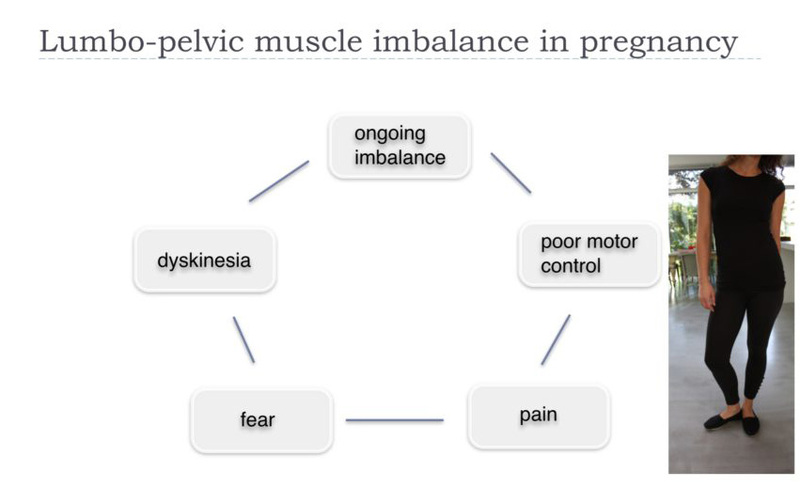 Pregnancy-related PGP is most likely due to the use of ‘less helpful’ motor patterns which are caused by and then lead to less muscular support and control of the joints in the pelvis. Using these unhelpful, protective strategies results in pain, which then leads to a cycle of protection, changed movement patterns, loss of confidence and more pain. Movement patterns which keep the PGP cycle going usually involve tightness and squeezing of the inner thigh and pelvic floor muscles. This picture will demonstrate what happens within the pregnant pelvis, how we can have pain from poor movement patterns and less control of the pelvis. This picture also shows how control of the pelvis can be regained by using good postural and movement patterns. 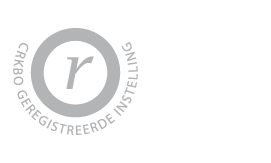 The Rost Therapy approach addresses these unhelpful movement patterns, which is why it helps PGP during pregnancy, even with increased pelvic joint mobility. Research has found many important factors that help us understand why so many women experience PGP during or after pregnancy. These include history of back pain, psychological factors, past traumas, and some specific sports done in youth. More research is needed to help us understand more about these additional factors, as well as to find others.